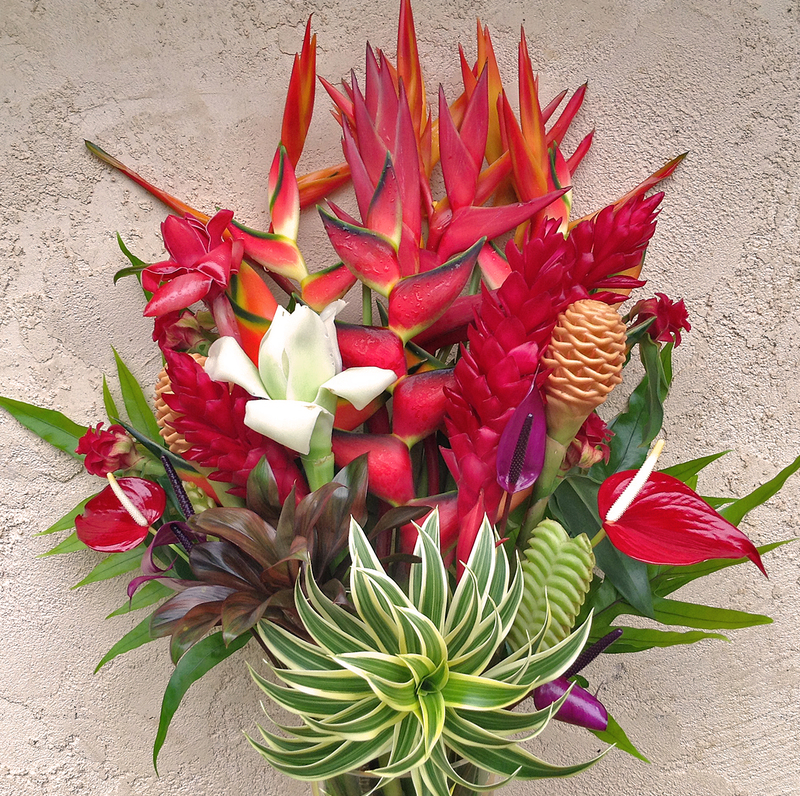 "Best of Kauai" Tropical Flower Arrangement, Features lots of amazing tropicals. Our largest bouquet. 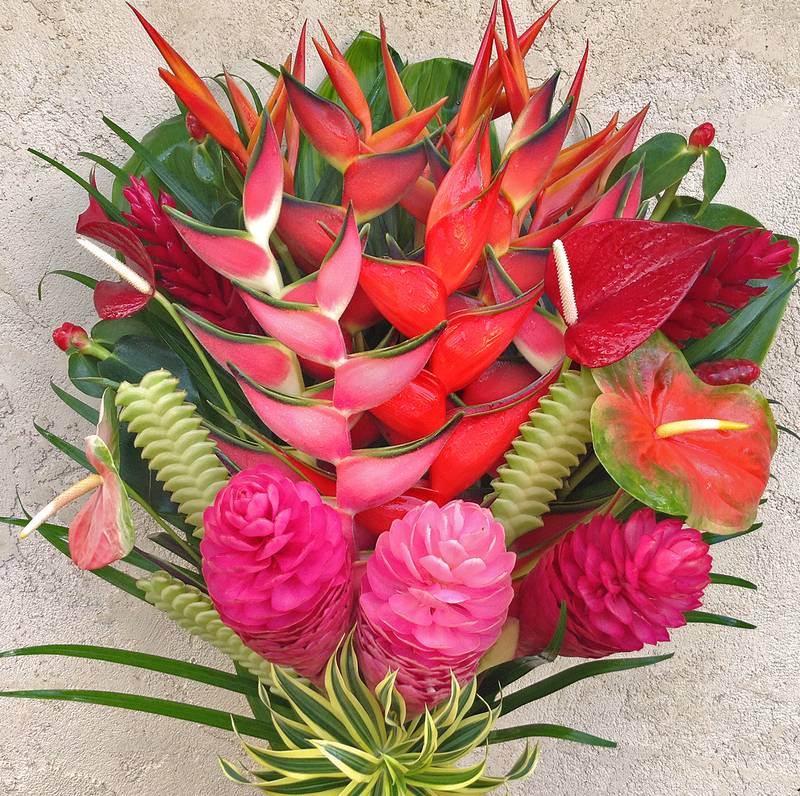 One of a kind: a custom arrangement featuring all of the amazing tropicals that are currently in season on our Kauai flower farm. Our biggest & brightest Heliconias, Ginger flowers, & Obake anthuriums combined with seasonal flowers that aren't included in any other bouquets. Multi-colored Ti leaves, Palm fronds, and variegated Dracena complete this arrangement to make a most impressive gift. 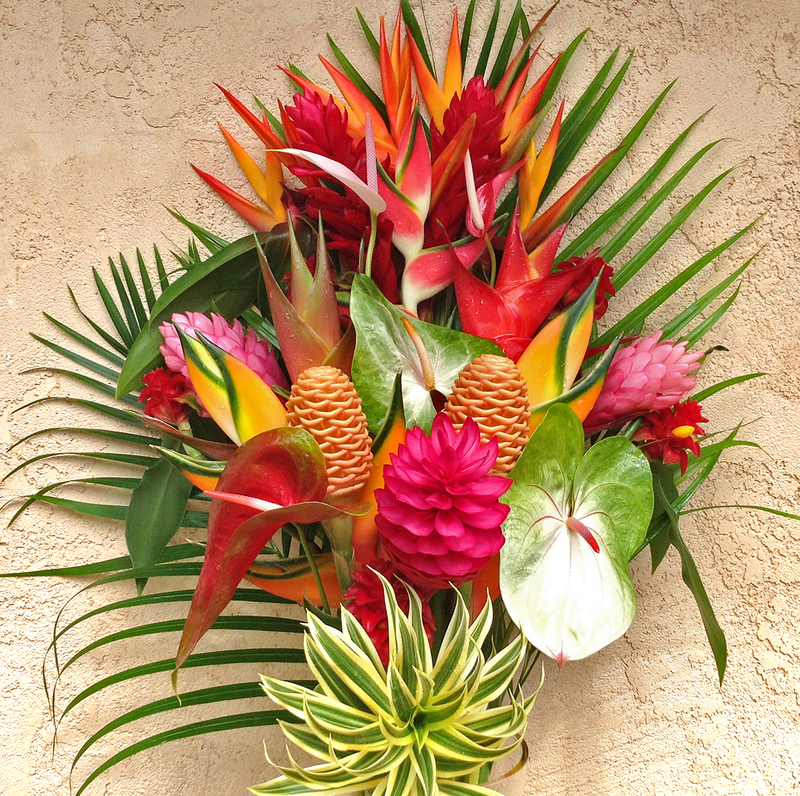 A 45 piece arrangement with 30 flowers and 15 foliage. FedEx 2nd Day shipping from Hawaii is included. See our checkout page for more information on shipping. Flowers vary with the season. Each flower arrangement is unique & approximately 34" tall. Features lots of amazing tropicals. Our largest bouquet. Aloha! 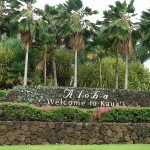 Welcome to Kauai! Our Island Home. 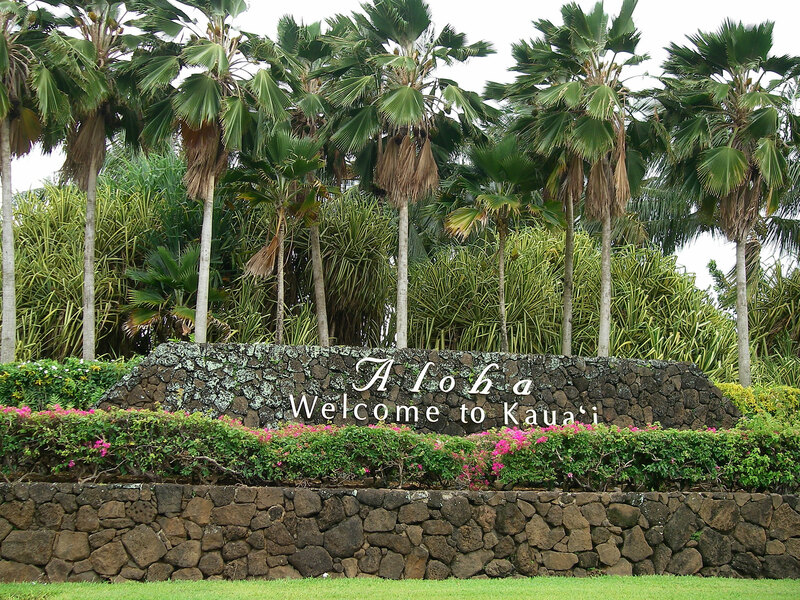 Kauai is geologically the oldest of the Hawaiian Island chain, whose origins are volcanic, approx. six million years ago. The island was formed by the passage of the Pacific Plate over the Hawaii hotspot. Kauai has some of the most unique geographical, natural beauty of any island on earth: 553 square miles, complete with deserts, rainforests, beaches, swamps, and mountains.